Looking for something different to do for fun? We have the answer! Painting with a Twist Bethlehem is a great place to have fun with your friends or meet new friends, relax, and simply discover your inner artist. Bring your favorite bottle of wine or beverage (and snacks) and paint along with our artists to create your own work of art that you will take home at the end of the evening! Our 2-hour classes are offered for $35 and 3-hour classes for $45. Our new screen art classes, although 2 hours in length, cost $45 per person. Select Family Friendly classes offered for $25. Private parties are great for groups of 15 or more on Friday and Saturday evenings (after 6 pm), or just 10 any other night of the week OR earlier on Satrudays! We're more than just 16 x 20 canvases! 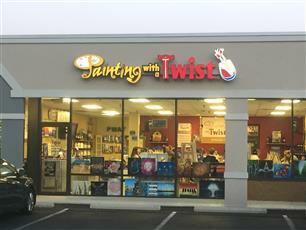 Did you that Painting with a Twist offers a variety of art? 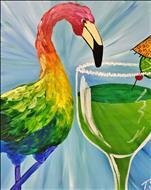 For years we've offered our beautiful art on only 16" x 20" canvases. However, over the last year, PWAT Bethlehem has painted on a variety of different-sized canvases: 12" x 12", 24" x 36", and now a slender 10" x 30"! We recently completed our first class with the 10 x 30 canvases, and they all turned out so beautifully! But we're not just limited to canvas anymore. 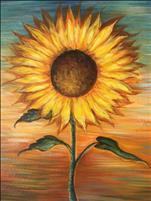 We also have wooden pallet paintings and a variety of wooden cutout paintings. These paintings are offered on wooden shapes that include pumpkins, Christmas trees, hearts, teddy bears, and so much more! 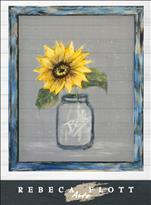 And wine glass paintings too! 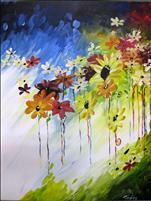 Same price as our regular 2-hour canvas paintings ($35 for a 2-hour class). Check out our schedule to see what we have coming up! We are so grateful for your support of Painting with a Twist Bethlehem over the last 2 years. Painting with a Twist is a family. A dozen of our franchises located in the greater Houston area have been affected. Some of our fellow franchisees and artists have lost their home, some have lost their PWAT studio, and some have lost both. 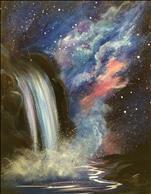 Please join us at PWAT Bethlehem for a very special "Painting with a Purpose" event on Sunday, September 17th, from 11 am - 1 pm, when we paint "Then Sings My Soul." 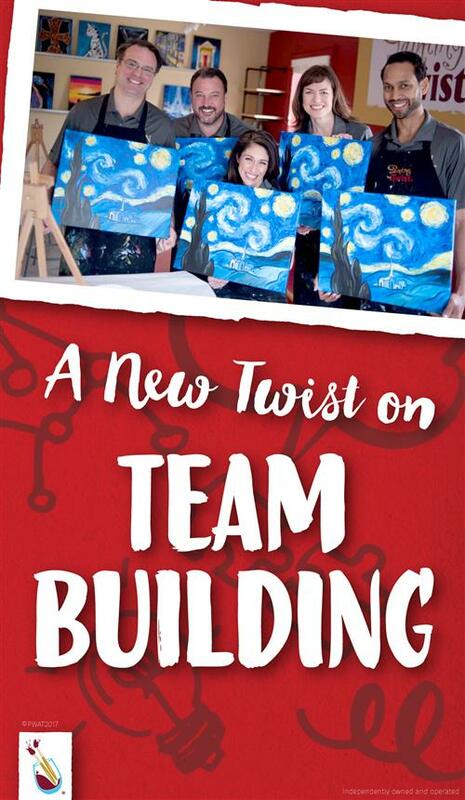 Proceeds from this class will be donated directly to Painting with a Twist franchisees and artists who so desperately need it at this time. Help us help them heal. 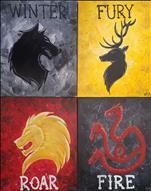 "The Lion King" is coming soon to PWAT Bethlehem! We are sooooooo excited to be hosting a special class on Sunday, August 27th, when we paint "The Lion King," as inspired by the movie! We've had such a great time with other special classes this year based on movies, artists Alec, Khadijah, Leito, and the rest of the crew are all ready! 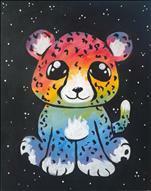 We're welcoming painters of any age to come paint, but recommend this one for children no younger than age 7. We would love to fill both our Main Room AND our Party Room, so be sure to sign up today!